When: He painted his first Bindu — for the uninitiated, yes, there are many — in 1979 when he underwent an ‘artistic rebirth’. ‘I’d like to think it grows. Each is a different story,’ he has said about his obsession with the leitmotif. Connecting The Dots: Raza’s move from abstract landscapes to geometrics had much to do with a desire to introduce India’s heritage into his artworks — and this led to the creation of his ubiquitous Bindu. The bindu is many things: a single point where all of nature conjoins, a seed, bearing the potential of life, a source of energy, the third eye, etc. 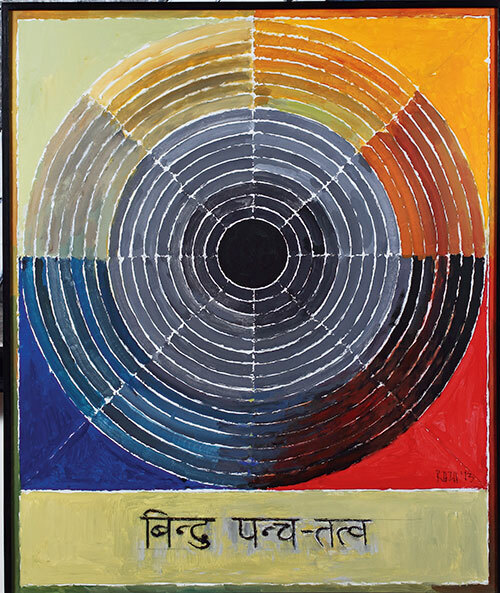 Worth: Raza’s Bindu Bija – Mantra was the most expensive single piece of Indian contemporary art to be sold in a Saffronart auction in 2004, going for a record 158,025 dollars. The online auction house also sold Earth (1986) for 1.23 million dollars last month while La Terre, painted in 1973, went for around 3.10 million dollars at Christie’s in New York last year, making it the third most expensive Indian painting ever sold, according to The Arts Trust. 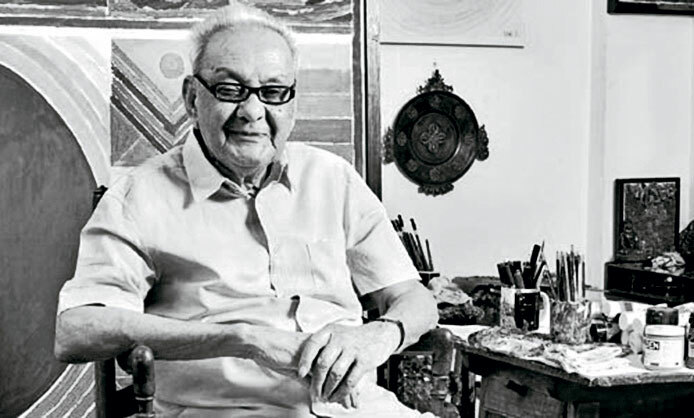 A Universal Appeal: The works of Raza, who was called ‘France’s most expensive living artist’ — he returned to India in December 2010 after 60 odd years — are notably often the starting point for new collectors.